Our range of products include crop protection fabric and fleece covers. 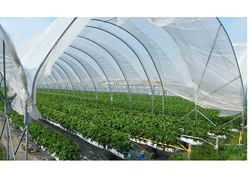 Widely used in agricultural lands, Crop Protection Fabric is the best to rely upon for excellent crop quality and yield. This type of protection has wide benefits for crops like; it protects crops from adverse weather conditions (rain, wind and burning sun). Other than this, it also stops the invasion of insects and pests on the crops, hence preventing the damage to plantation. 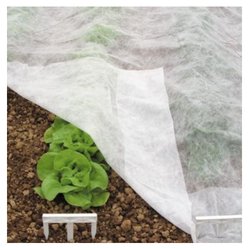 A complete protection tool for crops and plants, these fabrics ensure optimum water and air permeability through the plants and soil for their healthy growth. Easy to spread on crops, these have elastic ends for complete coverage. Generally White in color, we offer the Fleece Covers from as per customer's request. Made from non woven polypropylene the ambient temperature under the fleece is up to 2°C warmer than the outside temperature. This increases both yield and crop quality.